Meet the first key organizer with Bluetooth tracking technology built right into it. 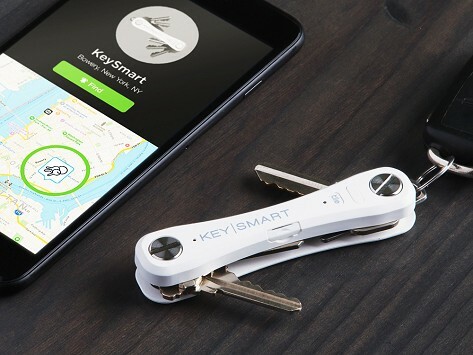 Keysmart syncs with the Tile™ app on your phone and allows you to track whatever it's attached to, so you'll never lose track of your keys again. Just click "find" in the Tile™ app and Keysmart will start ringing. And the alert works both ways: by double clicking the Tile™ button on your Keysmart, you can find your phone, too. Dimensions: 3.92" x 0.77" x 0.52"